Oh, Macallan. 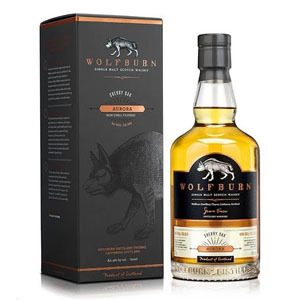 It started with puppy love, a flirting with your sherry-bomb 12-year bottling. It was the fourth or fifth single malt to pass my lips, and sparked a life-long love of sherried whisky in me, as well as a heavy respect for the brand name. Later, as my whisky knowledge and experience grew, I became passionate about the deep, soulful, complex voluptuousness of your 18-year bottling. It christened the bachelor party of my own best man, Mike, and only deepened my love for both heavily sherried malts and The Macallan. Then, like 45 minutes into an Oscar-winning drama, things started to take a turn for the worse. First you released the “Fine Oak” series… basically stripping my beloved sherry character from your now-tawdry, now-cheap house malt and trying to pass it off as “fine”. Next, you decide to “premiumize” your brand in the face of growing demand and growing prices, doubling the cost of your entry-level 12-year to $60 and my favorite 18-year from $99 to $200. Finally, the nail in the coffin of our romance, you began systematically removing the age-statements from official bottlings, replacing them with (of all the vain, face-value, book-by-its-cover things) color. Et tu, Macallan? *Gasp, flounder around the stage, die noisily*. Dramaturgy aside, I am pretty seriously pissed about the progression The Macallan has taken as a brand. First raising its prices by 100% over a few years in the name of premiumization, and then effectively watering down the flagship malts to stretch supplies in the face of demand. Can I blame them? No, from a purely capitalistic perspective they’ve done the right thing. In doing so however they have tarnished and even, indeed, betrayed the loyal customers that made them so popular in the first place. The fact that they’ve handily replaced all of those stalwarts with new customers both domestic and in emerging markets is just the sad reality of the whisky market today, and all of my sound and fury about it signifies nothing (see what I did there?). Macallan is not going to say “Oops, sorry about that” and start selling 18 year-old malt for $99 a bottle again, and I’m just going to have to get used to it. So although the transition is not complete (with 12, 18, and older age-statement Macallan still on the shelves in various markets), the new flagship series of The Macallan official bottlings (the 1824 series) goes like this: Gold, Amber, Sienna, and Ruby (stupid, right?). With the entry-level Gold at $60 a bottle, that’s hardly what I’d call an approachable range. Also, who the hell knows that the difference between them is, based solely on the color? The color is natural, yes (not added or manipulated with caramel coloring), but experience has taught us that color means very little when it comes to either flavor or quality. I’ve seen gorgeous shades of autumn colors in quite mediocre whiskies and I’ve seen ugly, dirty browns in whiskies that blew my mind with flavor. I’ve also tasted fabulously concentrated gems that looked like white grape juice. Still, we’re now supposed to understand that Ruby is better than Sienna, which is better than Amber, which is of course better than Gold. I should also note that these are not one-for-one replacements with the original age-statement range. Gold tastes nothing like the 12-year. 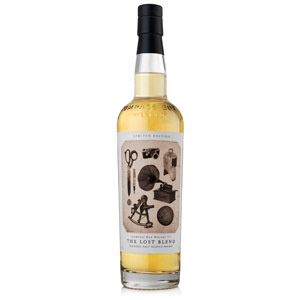 It’s like a mellower version of the Fine Oak 10-year (although Gold claims to be exclusively matured in sherry casks on the label). Ruby is purportedly very similar to the old Macallan 18 and is more-or-less equivalently priced around $180 – $200. Sienna and Amber are somewhere in between. What this all boils down to is that Macallan can now stretch their stocks of 18 year-old malt with 17, 16, and younger juice. Sure, it’s carefully blended to taste good, but nothing changes the fact that we’re getting younger Macallan for the same price. Nose: Golden raisins (sultanas) up front and center. Peach syrup and marzipan, wild honey. Vaguely floral. A swirl of the glass releases a wash of fresh pear cider. Quite sunny and pleasant. Palate: Thin body. Very soft, with nary a hint of tongue burn. Flavor is mostly cereal – shortbread cookies, buttered scones – and the sherry notes only linger around the edges as dried fruits and tanniny grape skins. Finish: Short. Honey, with absolutely no bitter notes. A little heathery on the fade-out. Simple. 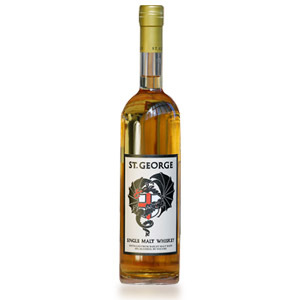 With Water: A few drops of water (not too many, since this is a weak 40% ABV) release a torrent of floral notes – wildflowers, honeysuckle, rose water, orange flower water, etc. The palate is mildly sweeter, and the finish unchanged. A little water is a good idea with this one. Overall: Okay so this is very pleasant single malt whisky. It is light and airy, vibrant and youthful (in a good way), and with an array of flowers and fruits that scream “Springtime!” while never becoming cloying, bitter, or overbearing. That said, this is no sherry-bomb. There are no dense red fruits, figs, currants, resin, or anything else commonly associated with the older sherried malts (or even GlenDronach 12, which is redolent with these). Tasted blind, I would have said it was The Balvenie DoubleWood 12 with perhaps a few fewer years on it. I’m conflicted. I feel like I’m seeing an Ex who has grown fat but nevertheless seems wildly happy without me. The fact that this is NAS, the bottom of the range, and $60 makes me not interested in purchasing a second bottle. Still, it’s a very good, mastercrafted single malt, and would be an excellent introduction to malts for someone who thinks $60 sounds entry-level. For me, it’s a hesitant (and slightly bitter) Recommended. The Macallan is big. Real big. Prized by collectors, consumed all over the world, The Macallan is a marketing powerhouse, with a very wide range of single-malt expressions targeting local tastes in every major market. Distilling almost continuously since 1824 when Scotland first legalized the production of spirits, The Macallan releases “replicas” of its older bottlings and also continuously experiments with new finishes. With global whisky tastes evolving away from the classic “all Sherry, all the time” style, The Macallan is battling its image as a Sherry Monster by releasing a “Fine Oak” range that focuses on the wood influence, and using a lower proportion of Sherry aging. You can always rely on a flagship Macallan to display big sherry notes of dark fruit, raisins, and spice. Acquired: (750ml Bottle): Costco, San Jose, CA $60. Good review! My experience with this brand is the same. 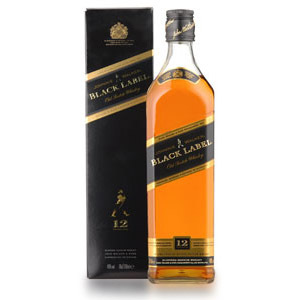 Frankly, I have left the brand as it no longer offers good value or really, good whisky. If I want a sherry bomb that reminds me of the great Macallan of years past, I will reach for GlenDronach everytime. The Sienna is ridiculously overpriced! My great fear is that Highland Park is heading down the same road . . . Excellent review! I’ve tried Sienna and Ruby…and was actually disappointed by Ruby especially considering the price. I thought Sienna was far better. But, as far wanting something more sherry at an affordable price? GlenDronach is the probably the new Macallan killer, for now…till they too raise the price and go NAS. Great review. While I haven’t tried the Gold, I have tried the Amber and Sienna bottlings, and generally agree with your assessment on the 1824 Series. The Sienna is a nice dream, but is very overpriced. The Glenmorangie Lasanta and Quinta Ruben are half the price of Sienna but very similar in quality if someone is looking for a smooth, fruity dram. 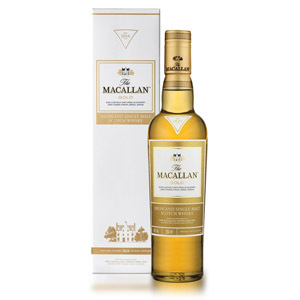 This review reflects my experience with Macallan, my first whisky love, who sadly has left me high and dry, as it were… I was about to ask what alternatives you might suggest, but then I read the comments. Thanks to the commenters for offering some options. You captured it precisely. I’m shocked how Macallan has cheapened itself. I hope they don’t have a silver and bronze on the cards. Thanks for the comment, Martin! Maybe take a look at local prices for GlenGoyne, Tamdhu, and Aberlour. Cheers! I was also somewhat disappointed with the Gold, I used to but the 12 or occasionally the 18 (and tried the 25 a few times) I found more of a vanilla note to the palate, but the flavour seems thin and watered down, even without ice. 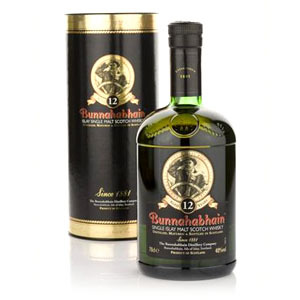 There is less of the oak/peat notes and it tastes more like a blended that single malt, my my palate is a little uneducated. Sadly, until they bring back my 12, I will be searching for others.